The International Space Station (ISS) achieved 15 years of a continuous human presence in orbit, as of today, Nov. 2, aboard the football field sized research laboratory ever since the first Russian/American crew of three cosmonauts and astronauts comprising Expedition 1 arrived in a Soyuz capsule at the then much tinier infant orbiting complex on Nov. 2, 2000. Today, the space station is host to the Expedition 45 crew of six humans – from America, Russia and Japan – that very symbolically also includes the first ever crew spending one year aboard and that highlights the outposts expanding role from a research lab to a deep space exploration test bed for experiments and technologies required for sending humans on interplanetary journeys to the Martian system in the 2030s. The ISS was only made possible by over two decades of peaceful and friendly international cooperation by the most powerful nations on Earth on a scale rarely seen. “I believe the International Space Station should be considered for the Nobel Peace Prize,” said NASA Administrator Charles Bolden last week during remarks to the Center for American Progress in Washington, DC., on October 28, 2015. “No better place to celebrate #15YearsOnStation! #HappyBday, @space_station! Thanks for the hospitality! #YearInSpace.” tweeted NASA astronaut Scott Kelly from the ISS today along with a crew portrait. The space station is the largest engineering and construction project in space combining the funding, hardware, knowhow, talents and crews from 5 space agencies and 15 countries – NASA, Roscomos, ESA (European Space Agency), JAXA (Japan Aerospace and Exploration Agency) and CSA (Canadian Space Agency). The collaborative work in space has transcended our differences here on Earth and points the way forward to an optimistic future that benefits all humanity. The station orbits at an altitude of about 250 miles (400 kilometers) above Earth. It measures 357 feet (109 meters) end-to-end and has an internal pressurized volume of 32,333 cubic feet, equivalent to that of a Boeing 747. The uninterrupted human presence on the station all began when Expedition 1 docked at the outpost on Nov. 2, 2000, with its first residents including Commander William Shepherd of NASA and cosmonauts Sergei Krikalev and Yuri Gidzenko of Roscosmos. 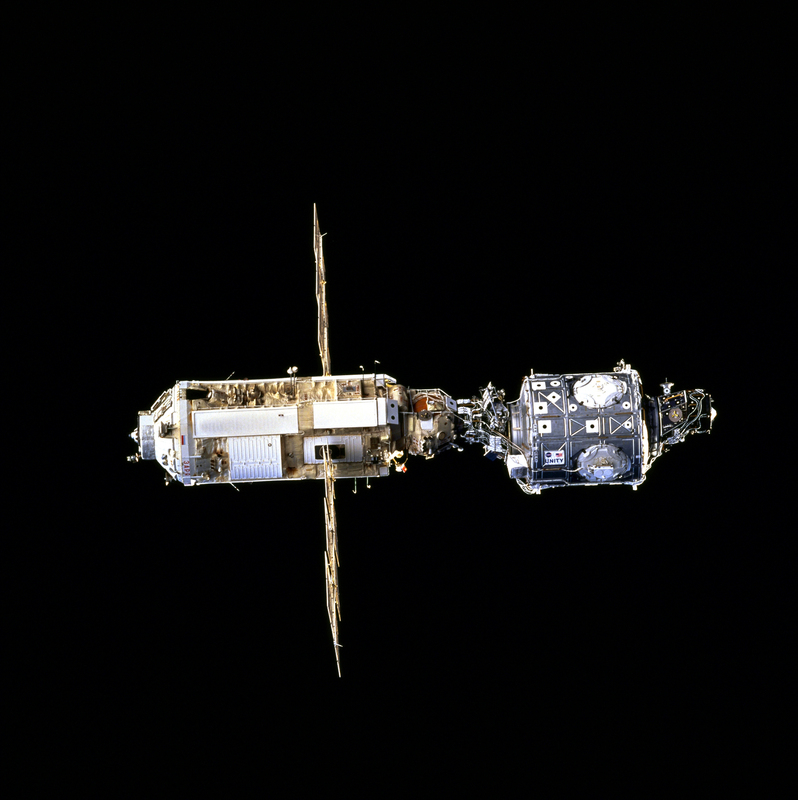 For the first station trio in November 2000, the vehicle included three modules; the Zarya module and the Zvezda service module from Russia and the Unity module from the US. Over the past 15 years, after more than 115 construction and logistics flight, the station has grown by leaps and bounds from its small initial configuration of only three pressurized modules from Russian and America into a sprawling million pound orbiting outpost sporting a habitable volume the size of a six bedroom house, with additional new modules and hardware from Europe, Japan and Canada. The ISS has been visited by over 220 people from 17 countries. 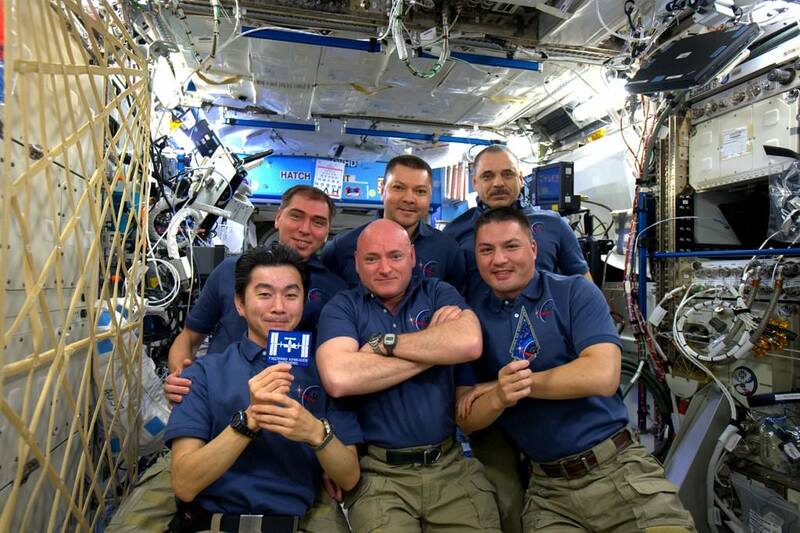 The “1 Year ISS crew” reflects the international cooperation that made the station possible and comprises current ISS commander NASA astronaut Scott Kelly and Russian cosmonaut Mikhail Kornienko, who are now just past the half way mark of their mission. “Over the weekend, I called NASA astronaut Scott Kelly, who is currently halfway through his one-year mission aboard the International Space Station, to congratulate him on setting the American records for both cumulative and continuous days in space,” Bolden said in a NASA statement released today. 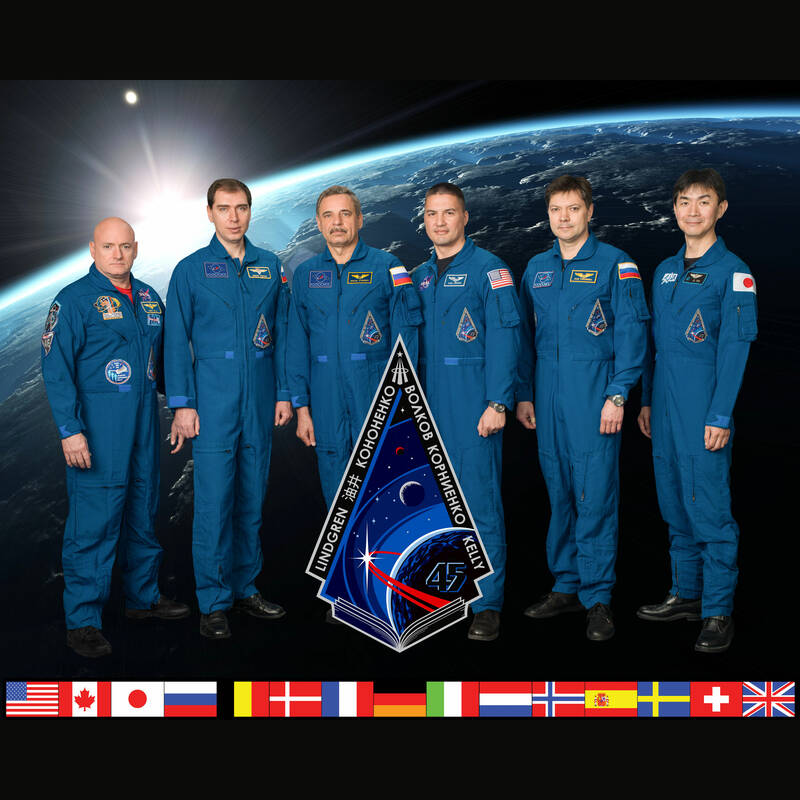 The complete Expedition 45 crew members include Station Commander Scott Kelly and Flight Engineer Kjell Lindgren of NASA, Flight Engineers Mikhail Kornienko, Oleg Kononenko and Sergey Volkov of the Russian Federal Space Agency (Roscosmos) and Flight Engineer Kimiya Yui of the Japan Aerospace Exploration Agency. For the first nine years, the station was home to crews of two or three. Starting in 2009 the crew size was doubled to a permanent crew of six humans after the habitable volume, research facilities, equipment and supporting provisions had grown sufficiently. 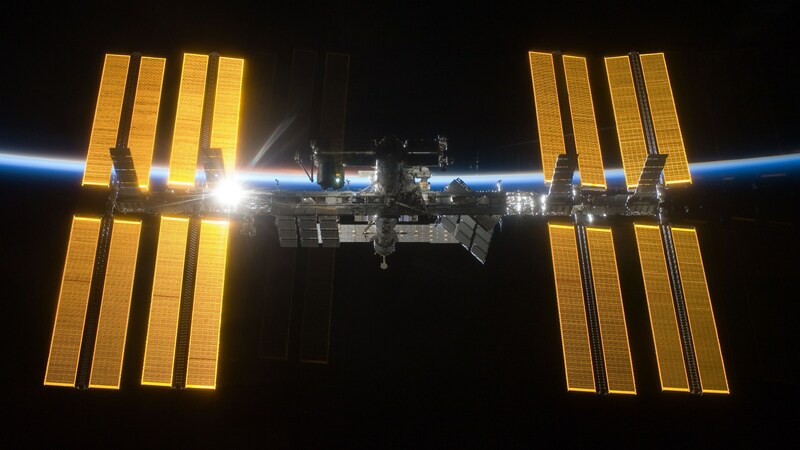 “Humans have been living in space aboard the International Space Station 24-7-365 since Nov. 2, 2000. That’s 15 Thanksgivings, New Years, and holiday seasons astronauts have spent away from their families. 15 years of constant support from Mission Control Houston. And 15 years of peaceful international living in space,” says NASA. The US contributed and built the largest number of segments of the space station, followed by Russia. NASA’s Space Shuttles hauled the US segments aloft inside the orbiters huge payload bay, starting from the first construction mission in 1998 carrying the Unity module to the final shuttle flight STS-135 in 2011, which marked the completion of construction and retirement of the shuttles. With the shuttle orbiters now sitting in museums and no longer flying, the Russian Soyuz capsule is the only means of transporting crews to the space station and back. The longevity of the ISS was recently extended from 2020 to 2024 after approval from President Obama. Most of the partners nations have also agreed to the extension. Many in the space community believe the station hardware is quite resilient and hope for further extensions to 2028 and beyond. “The International Space Station, which President Obama has extended through 2024, is a testament to the ingenuity and boundless imagination of the human spirit. The work being done on board is an essential part of NASA’s journey to Mars, which will bring American astronauts to the Red Planet in the 2030s,” says Bolden. 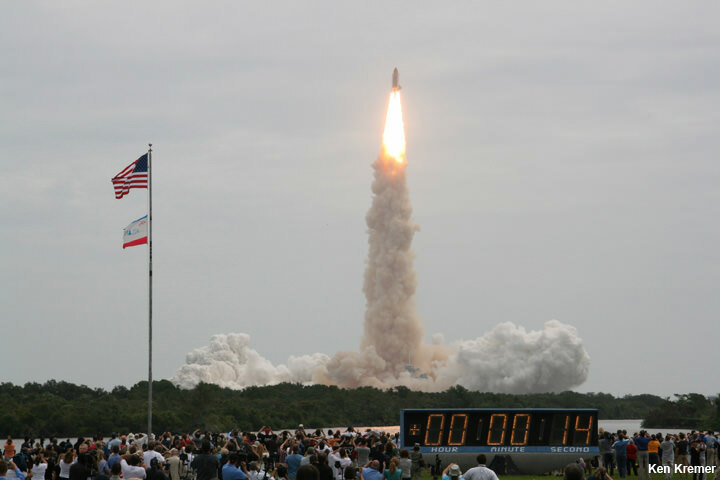 A key part of enabling long duration space missions to Mars is the 1 Year ISS Mission. Scott Kelly recently set the US records for most time in space and longest single space mission. 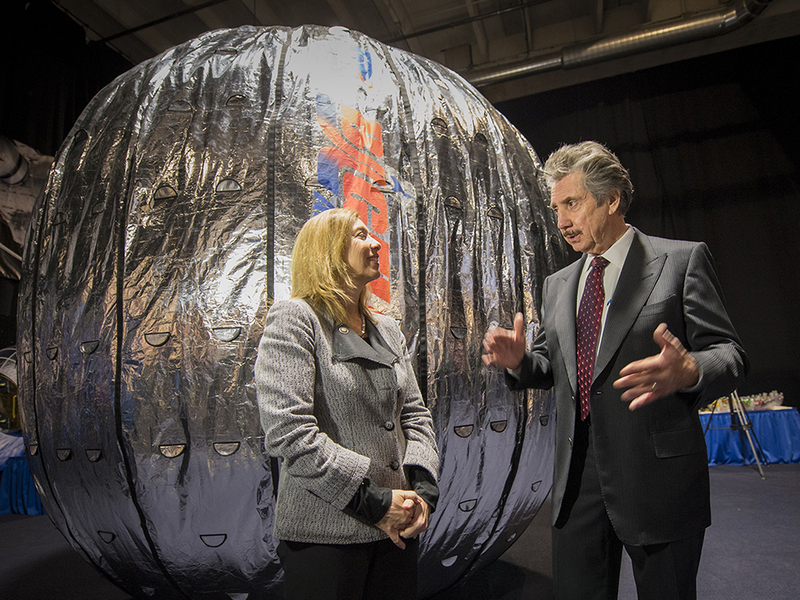 In coming years, additional new pressurized modules and science labs will be added by Russia and the US. And NASA says the stations crew size will expand to seven after the US commercial Starliner and Dragon space taxis from Boeing and SpaceX start flying in 2017. NASA is now developing the new Orion crew capsule and mammoth Space Launch System (SLS) heavy lift rocket to send astronauts to deep space destination including the Moon, asteroids and the Red Planet. In the meantime, Kelly and his crew are also surely looking forward to the arrival of the next Orbital ATK Cygnus resupply ship carrying science experiments, provisions, spare parts, food and other goodies after it blasts off from Florida on Dec. 3 – detailed in my story here. But amid these conditions, despite what could have been show-stoppers to construction such as the Columbia shuttle tragedy of 2003, and in the face of changing political priorities and funding from the many nations building the station, there the ISS orbits. Fully built, although more is being added every year. The first module (Zarya) launched into space 15 years ago tomorrow. Humans have been on board continuously since November 2000, an incredible 13 years. The bulk of construction wrapped up in 2011, but the station is still growing and changing and producing science for the researchers sending experiments up there. Below are some of the milestones of construction in the past couple of decades. Did we miss something important? Let us know in the comments.